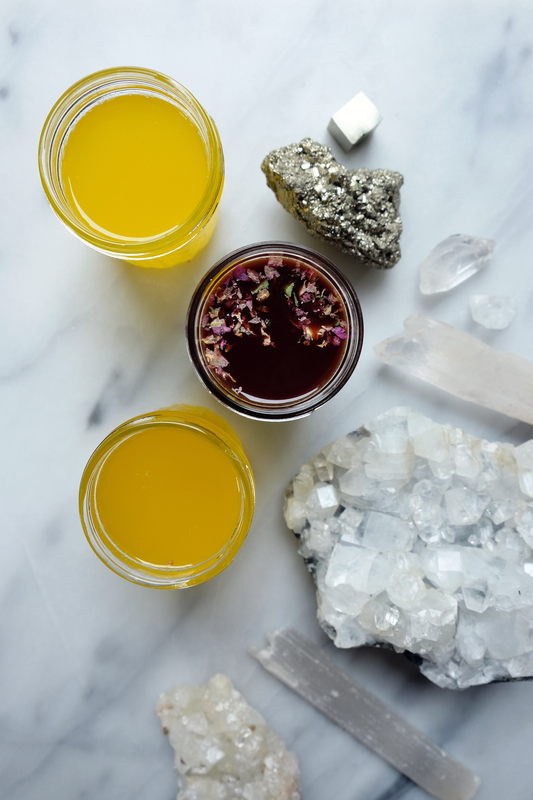 This June at the Spirit Weavers Gathering, I took a Medicated Ghee Making workshop with Sarah and Summer of The Great Kosmic Kitchen. 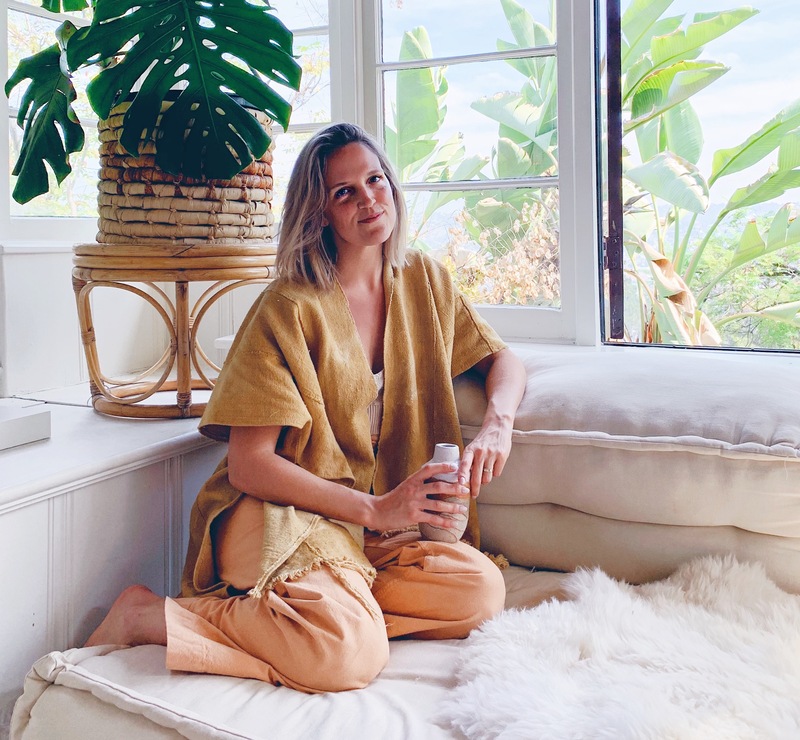 These ladies are super sweet, down-to-earth and especially knowledgable on all things herbal and Ayurveda. I’m grateful to have learned this process from them. 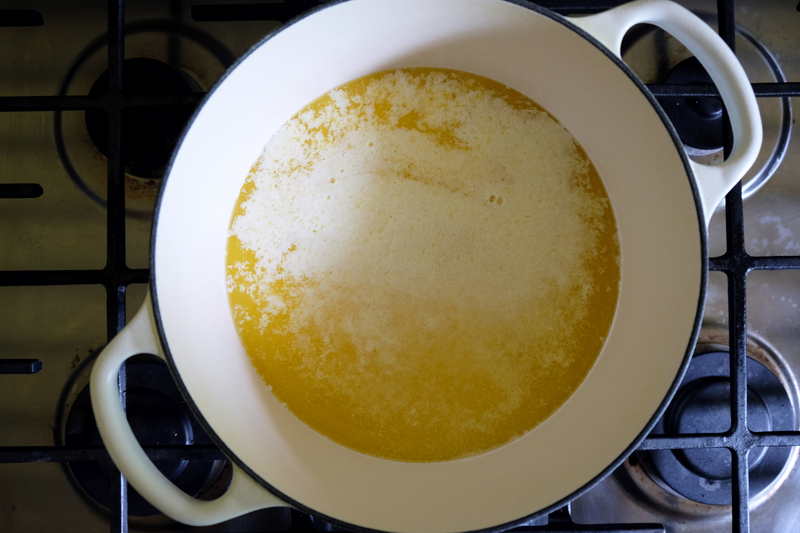 If you don’t know what ghee is, it’s essentially clarified butter. In the Ayurvedic tradition, ghee is considered to be medicine and has been used for thousands of years. 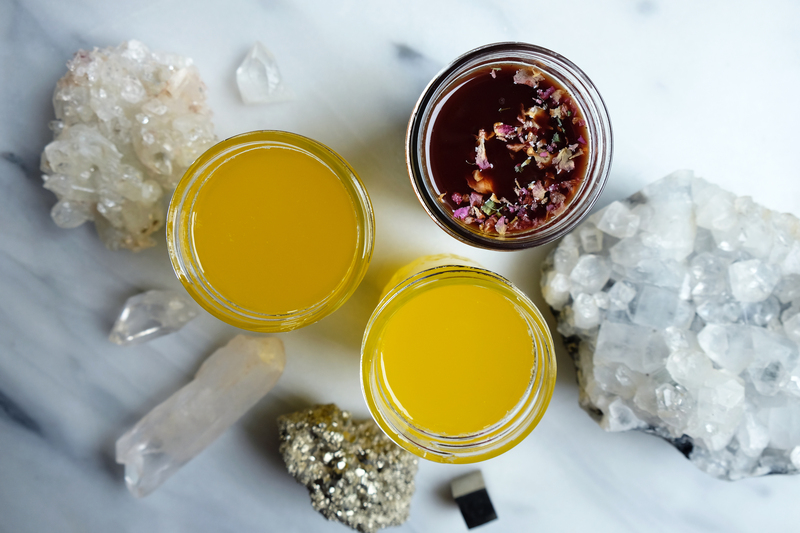 Traditionally, ghee is made on the full moon, imparting the nourishing and nurturing qualities of the moon/mother into the medicine. 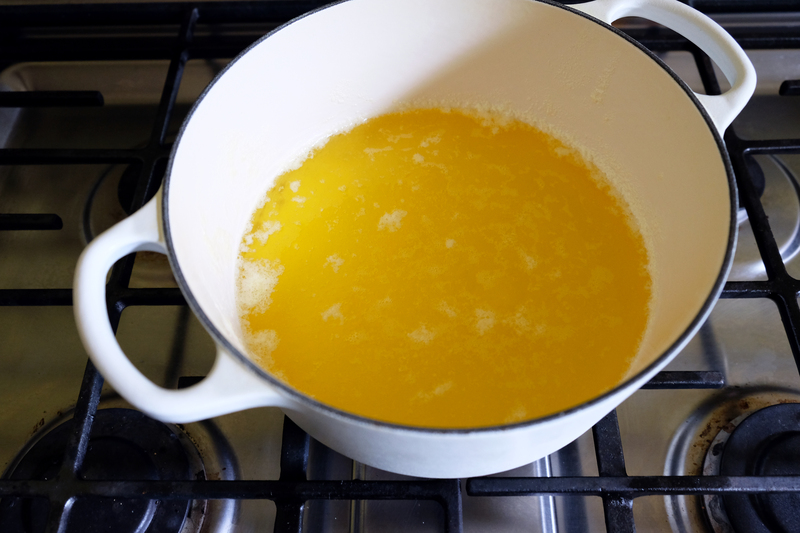 While making the ghee, a mantra is chanted 108 times to add intention and good energy into it. Typically, sanskrit mantras are chanted, however, you can chant or say any words, passages or prayers that speak to you. 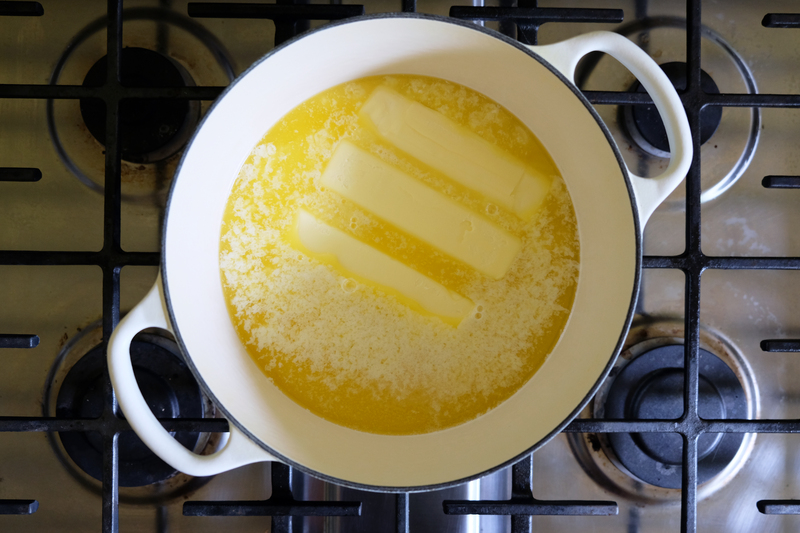 The process of clarifying the butter removes the lactose and casein, making ghee suitable for people with dairy allergies. With a smoke point of 450°, ghee is great for cooking and sautéing, as well as being slathered on bread, melted over steamed veggies or used in your morning matcha potion. Ghee helps sustain healthy microbes in the gastrointestinal tract that promote proper digestion and elimination. It nourishes all the tissues of the body, including the nervous system, translating into calm energy throughout the day. Ghee can also be used topically. It’s ultra moisturizing and works well on chapped lips and dry skin. The ultimate way to use this medicine on your skin is by making “shata-dhauta-ghrita” or “100 times washed ghee.” You can read more about it and learn how to make it, here. If you don’t have time to make 100 times washed ghee, you can still use the homemade ghee from this recipe. 1.) 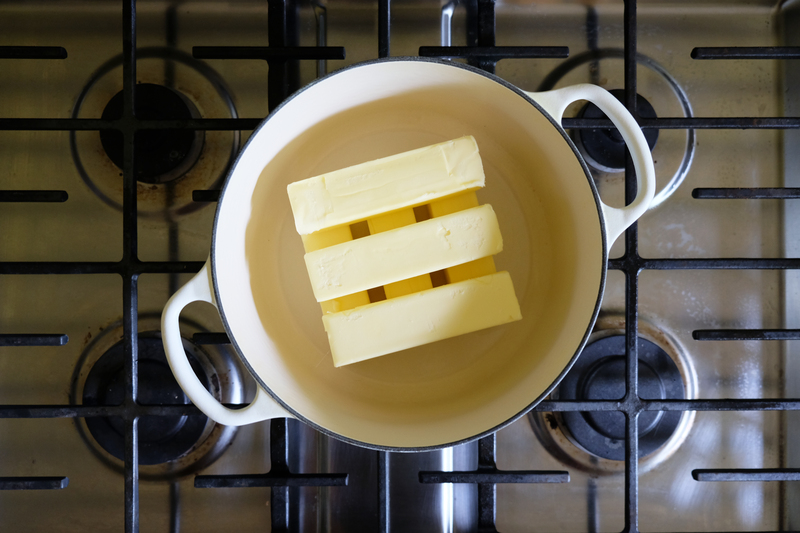 Place the butter in a heavy bottomed saucepan. Cook uncovered over medium heat until the butter melts (Photos 1-3). Turn down heat to medium-low to maintain a low simmer. 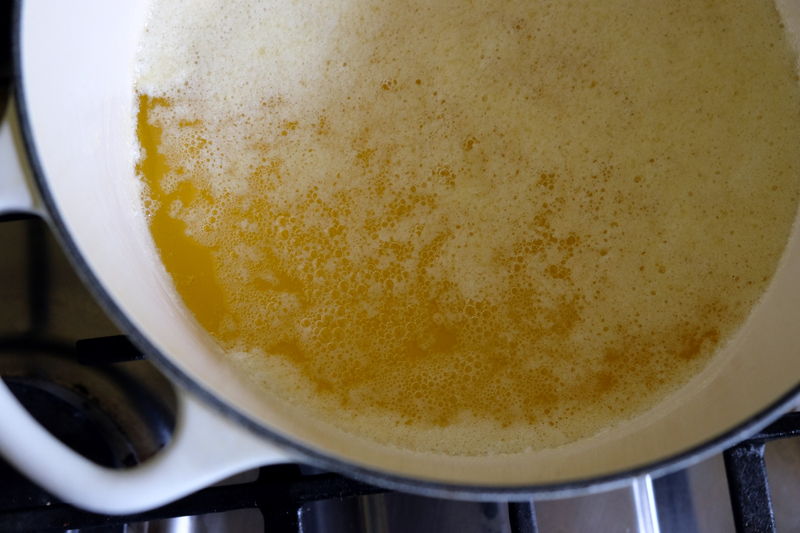 The ghee will be bubbling with larger bubbles at first (Photo 4). 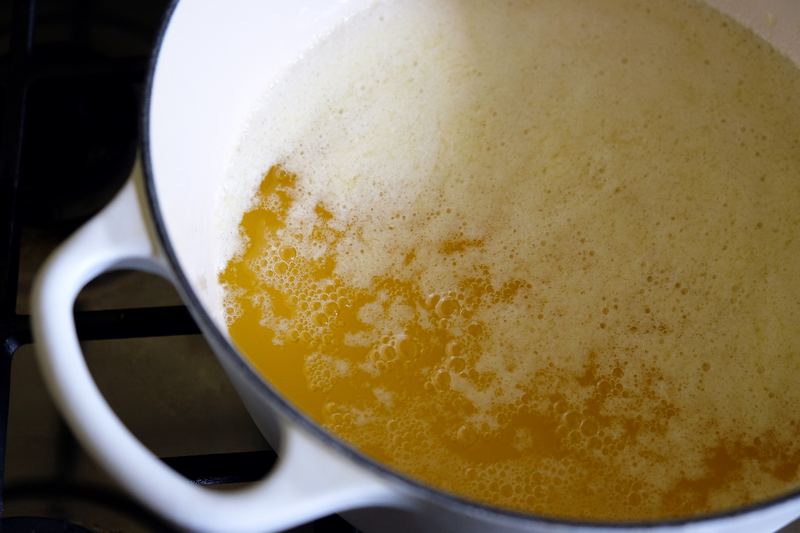 As ghee can easily burn, keep a close watch and turn down heat if necessary. There is no need to stir or touch the ghee. You will notice foam forming on the top of the saucepan while the milk solids sink to the bottom. After about 15 minutes, you will see the bubbles get smaller (Photo 5) and you will hear the sound of the simmering change. Remove from heat, let cool for about 5-10 minutes then skim the foam off the top (Photo 6). 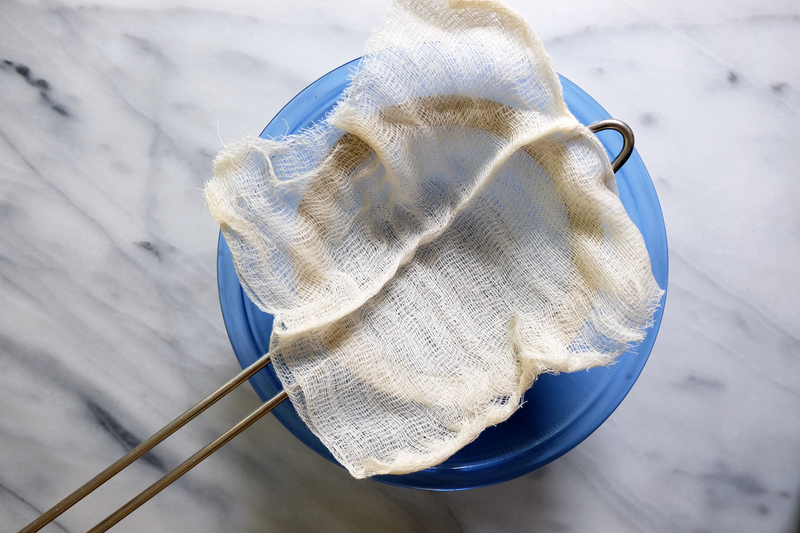 Let settle for about 5 minutes then strain the ghee through a cheesecloth-lined mesh sieve (Photo 7). You can strain directly into your jar, or if you are doubling the recipe (like I did) strain into a bowl then use a funnel to pour into jars. At this point, you can stir in any desired add-ins. Ghee doesn’t require refrigeration. Be sure to always use a clean spoon or utensil when scooping it out and don’t allow any moisture to get into the jar, which would cause it to spoil. Do you think a nut milk bag would work instead of a cheese cloth? So excited to try! Yes! I think that would work just fine. Lovely post Ali! Ghee really is so easy to make and so good for you. It’s actually very cooling for people with Pitta imbalances as well and makes a wonderful eye wash. I’m glad you’re helping people learn how to make it at home. Yes! I’ve been incorporating ghee into my life more and more, and I really love it. It’s been working well on my skin too, which is amazing.